Background: With the aim of resolving the current controversy over the diagnosis and treatment of diverticular disease, this consensus development conference set out to summarize the actual state of the art. Methods: A multidisciplinary panel of international experts (n= 16) was selected to take part in the consensus process. Prior to the conference, all experts were asked to answer a series of questions on diverticular disease. The consensus statement compiled out of these evaluations was modified during a joint meeting of the panel members, then presented for discussion in a public session, and finally revised by the expert panel. The finalized statement was mailed to all panel members for approval (Delphi method). Results: Asymptomatic diverticulosis, diverticular disease (with actual or recurrent symptoms), and complicated diverticular disease were defined separately. 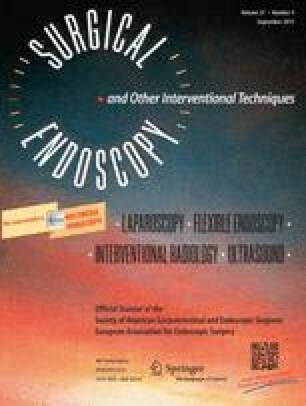 No agreement was reached on whether barium enema or colonoscopy is the better choice as an initial diagnostic tool in uncomplicated cases. In complicated cases, computed tomography is recommended for diagnosis. After two attacks of diverticular disease, elective resection should be considered. For patients in whom a concomitant carcinoma cannot be excluded and those with chronic complications (fistula, stenosis, or bleeding) surgery is also indicated. Laparoscopic sigmoid colectomy is recommended only for uncomplicated and, after percutaneous drainage of abscesses, Hinchey stage I and II cases. Conclusions: Laparoscopic surgery has already begun to influence the management of diverticular disease, but the randomized controlled trials needed to support therapy decisions are largely missing.